Five former interns of the Illinois Legislative Internship Program will be inducted to the Hall of Fame later this month. 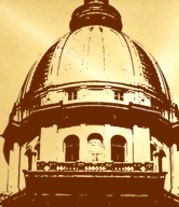 The University of Illinois at Springfield will hold an induction ceremony and reception to honor five former interns of the Samuel K. Gove Illinois Legislative Internship Program whose careers have exemplified distinguished public service by welcoming them into its esteemed Hall of Fame. The event is scheduled for November 21 at the Illinois Executive Mansion and will celebrate the awardees, who include United States Congresswoman Cheri L Bustos and assistant secretary of the Senate Scott L Kaiser. Cohosted by the Alumni Association and Illinois Issues Magazine, the event registration deadline is November 18th to purchase the $65 tickets. For more information, or to register, please visit UIAA.org. The Honorable Cheri L. Bustos is the first graduate of ILSIP and the University of Illinois Springfield (UIS) to be elected to United States Congress, representing Illinois’ 17th Congressional District, to which she won election in November 2012. Upon completing ILSIP, Bustos enrolled in the University’s graduate program, where in 1995, she earned a Master of Arts degree in Public Affairs Reporting. Throughout her career in journalism, Bustos covered government and received state and national awards for her work. Bustos left journalism to work for one of the nation’s largest non-profit health care systems, helping the disadvantaged navigate the health care system and improve the quality of health care available to families. Bustos has served on numerous nonprofit boards and as President of the Women’s Connection, one of Illinois’ largest women’s organizations. She served on the City Council in East Moline for two terms and founded the East Moline Downtown Revitalization Committee. Bustos is also a past member of the East Moline Citizens Advisory Committee and the East Moline Plan Commission. U.S. Representative Bustos earned a Bachelor’s Degree in Political Science from the University of Maryland, College Park, and also attended Illinois College where she was inducted into the Illinois College Sports Hall of Fame. Ms. Bustos and her husband, Gerry, have three grown sons and reside in East Moline, IL. Scott Kaiser is the Assistant Secretary of the Illinois State Senate, and earned a Bachelor of Arts degree in Political Science from then Sangamon State University in 1988. Soon after graduation, Kaiser was selected for ILSIP, and upon completing the program, became a legislative analyst on the Senate Republican Staff, from 1988-1999, working on welfare and healthcare issues, and funding for human services agencies. From 1997-1999, Kaiser served as Deputy Director of Legislative Affairs for Governor Jim Edgar, working primarily as the Governor’s liaison to the Senate. In 1999, Kaiser became Assistant to the President of Southern Illinois University – Carbondale, where his responsibilities included government affairs, and community and media relations. In 2004, Kaiser was elected Assistant Secretary of the Senate for the remainder of the 93rd General Assembly. Kaiser has subsequently been re-elected Assistant Secretary of the Senate for the 94th, 95th, 96th, 97th and 98th General Assemblies. Mr. Kaiser is an active member of the American Society of Legislative Clerks and Secretaries (ASLCS), where he is currently serving as national vice president. Kaiser and his wife, Julie, have two children, Jake and Laura, and live in Chatham, IL. Mona Martin is an independent, contract lobbyist who owns her own consulting firm. Martin began her career in government as an ILSIP intern in 1989. Martin's internship placement was with the House Republican Staff. She later staffed the House Revenue Committee. In 1993, Martin was appointed Director of Research, where her role grew to include the additional responsibilities of Director of Appropriations. Prior to consulting, Martin worked for 4 years at the Department of Commerce and Community Affairs/ Economic Opportunity, where she worked as the Deputy Director of Policy Development, Planning and Research. In this role, Martin was charged with developing the programmatic structure for the $12 billion Illinois FIRST program. Martin, and her husband, David Joens, reside in Springfield. Scott Reimers is Chief of Staff for the House Republican Leader, a position he has held since 2011. Reimers began his career in government through ILSIP, working for the House Republican Staff as a substantive and appropriations committee staff member, working with the Human Services and Insurance committees, and analyzing agency budgets. In 1999, Reimers was promoted to Director of Research and later Deputy Chief of Staff for Public Policy. He also coordinated several campaigns for House Republican seats. As Chief of Staff, Reimers manages a staff of over 100 employees, including those in the legislative research, communications, technology, policy, appropriations, legislative assistants and support staff functions. He also provides policy advisement for the House Republican Leadership team and caucus on state policies and legislation. In the Springfield –area community, Reimers served on the Blessed Sacrament School Board and also co-chaired the Blessed Sacrament Building on Tradition capital campaign which raised $5.4m. He is an active member of the Northern Illinois University (NIU) Alumni Association, currently serving as a member of the Alumni Association’s board of directors. Mr. Reimers earned a Bachelor of Arts degree in Political Science from NIU and a Master of Public Administration degree from UIS. He and his wife, Lori, live in Springfield, and are parents of two children, Sophie and Andrew. Selected for ILSIP in 1973, David Sykuta served with the Senate Republican staff, specializing in industrial relations. Upon completing the program, Sykuta became a full-time legislative consultant for the Illinois Senate Republican staff, again specializing in industrial relations. During his tenure on Senate staff, he took several leaves of absence to organize and manage political campaigns. Sykuta’s career with the Illinois Petroleum Council began in 1976 as associate director, where his responsibilities were devoted to media and public relations. In 1978, his role was shifted to lobbying at the state level, and grew to include federal level lobbying. In January 1986, Sykuta was appointed executive director of the Council, a position he retired from in 2012. Sykuta's expertise regarding oil energy, environmental issues and their consequences make him a highly visible commentator in local and national media. He contributes frequently to FOX news, CNN, WGN, ABC, CBS, PBS's Chicago Tonite and numerous print and electronic communications. Sykuta is also a gubernatorial appointee to the Illinois Environmental and Regulatory Review Commission. In 1996, Sykuta co-founded the Partnership for Environmental Progress, a coalition of more than 80 businesses, labor unions, agricultural groups, trade associations, corporations and scientific groups whose common goals are a cleaner environment, economic growth and sound public policy. Mr. Sykuta earned a Bachelor of Science degree in 1972 from Illinois State University (ISU), and also attended graduate school in the Public Administration programs of ISU and UIS. He's an active member of the Illinois Society of Association Executives and the Business and Industry Federation. Sykuta is a former chairman of the Illinois Highway Users Association and a past president of St. Agnes School PTA. He and his wife, Marcia, reside in Springfield and have two children, Amy and Jonathan.